Top public health authorities descended on Capitol Hill Thursday to sound the alarm about a grim future without antibiotics. These lifesaving drugs are losing their mojo as germs adapt to them. It's a process scientists call antibiotic resistance. In the United States, two million people a year fall victim to drug-resistant infections, 23,000 die, and the toll "is growing," says Anthony Fauci, director of the National Institute of Allergy and Infectious Diseases. Most are hospital patients. If new antibiotics aren't discovered, then "procedures we take for granted -- including chemotherapy, joint replacement surgery, kidney dialysis, organ transplants" and even simple surgeries would be "too risky to undertake," Pew Charitable Trusts' Allan Coukell warned Congress. A frightening forecast. But don't fear an antibiotic apocalypse yet. Since penicillin was discovered in a moldy petri dish nearly a century ago, most antibiotics have been found in soil and then reproduced in labs. Conventional wisdom says the supply is nearly exhausted. But Sean Brady and his Rockefeller colleagues insist the earth holds many more. "Our idea is, there's this reservoir of antibiotics out in the environment we haven't accessed yet" just waiting to be tapped. Brady's group set up a project, "Drugs from Dirt," to solicit soil samples, and began poring over them to find new antibiotics. He used a process -- genetic screening -- that is far faster and more effective than growing samples in a petri dish. The results? Malacidin -- Latin for killing bad guys -- an entirely new category of antibiotics sitting in soil. It's already proven to cure MRSA (methicillin-resistant Staphyloccus aureus) skin infections on lab rats. That said, it will be at least a few years before the drug makes it to the pharmacy. "The malacidin discovery is very exciting," says Paul Auwaerter, a Johns Hopkins scientist, but "it is a long way to a safe effective drug approved by the FDA." Same deal for another new antibiotic -- unearthed recently -- teixobactin. In addition, these new antibiotics only treat one of the two families of bacteria -- called gram-positive, like Staph. Other drugs in the pipeline will target the other category of bacteria, gram-negatives such as Klebsiella and Acinetobacter. Though they're not household names, they kill by invading a hospital patient's bloodstream or bodily organs, or causing pneumonia. Because new cures are years away, it's essential to protect patients today by stopping these deadly germs from entering their bodies. Hospitals are "breeding grounds" for superbugs, explains Fauci. The bacteria lurk on doorknobs, bedrails and other unclean surfaces, morphing constantly to become resistant to antibiotics. When a patient is admitted -- wham! -- the bad germs attack, invading a surgical incision or climbing in through a breathing device or IV to cause a drug-resistant infection. Doctors scramble to find a drug to save the patient. But once the germ has invaded the body, it's often too late. 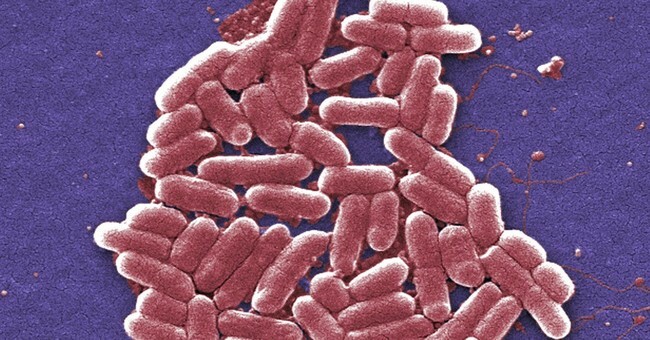 When the drug-resistant germ Klebsiella struck Israeli hospital patients in 2006, the country stopped its spread within a year. How? Testing all patients, isolating those who had it, and even barring nurses treating these patients from having contact with anyone else. Most U.S. hospitals do none of this. The same germ invaded New York City in 1999. Hospitals kept mum. Public health authorities failed to act. Now it's in all 50 states. What's to blame? Inadequate cleaning, lax medical procedures and a failure to isolate patients carrying the germ. Studies show the germ frequently contaminates hospital rooms and is picked up on the gloves worn by doctors and nurses. Thrilling new antibiotics are on the way. Scientific innovation will likely prove the naysayers wrong. But tomorrow's cures won't save today's patients. Hospitals -- the frontlines in this battle -- have to do their part, too. That means cleaning up.